It’s time to head up to Salford and the Radio Academy’s Radio Festival event at MediaCityUK. 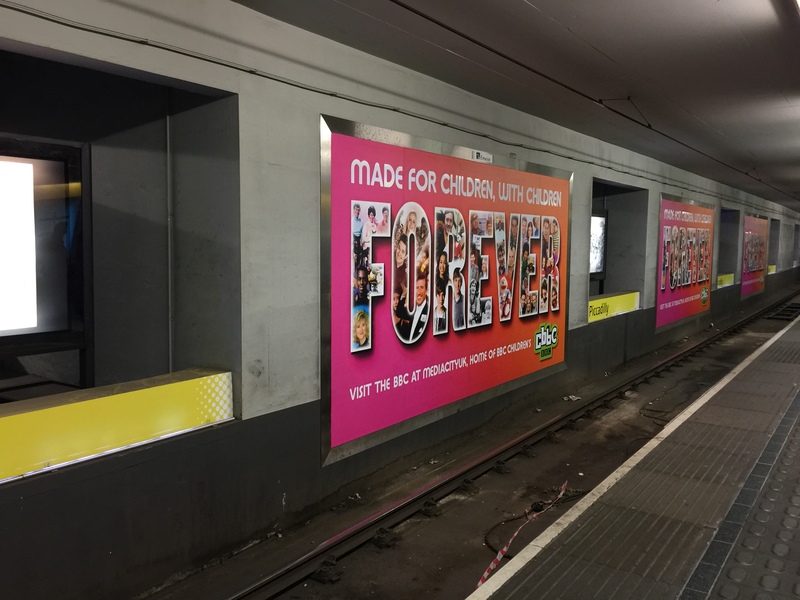 On my way, I saw these adverts at Manchester Piccadilly’s Metrolink station, advertising MediaCityUK as the home of Children’s BBC (CBBC to you and me). This reminded me of some of the programmes I remember watching on the BBC as a kid. One that stuck out was Funnybones, which had Griff Rhys Jones as part of the title song.